What does this festival mean to you? 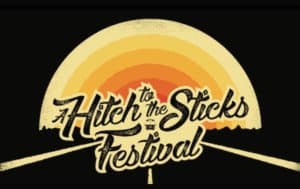 Time Robb and the Stealing Hours are pumped to play the inaugural A Hitch to the Sticks Festival, particularly because it is our first appearance as a band and we get to play alongside a lot of talent from the North-East region. It’s gonna be a hootenanny of a time! At what point of the bus trip are you performing? We are playing at the Tatong Tavern on the 17th. We’re super stoked to be playing at this venue because we are all from North-East Victoria originally and have spent some time at the Ol’ Tav, we’re gonna add this one to the memory bank for sure. What can we expect from your performance? Time Robb and the Stealing Hours play a fusion of psych-folk/country and extended rock jams. The audience should expect some poor banter between songs, tunes about smoking too many cigarettes and a few solo folk ditties from myself strewn through the set. What excites you about appearing at this event? The main excitement comes from seeing our friends in Benny Williams, Mandy Connell and Whiskey Dram playing their beautiful music, and meeting Sara Flint who we haven’t had the privilege of seeing play yet. Also having a beer in the sun with the legend that is Ellen James who had a huuuuuuuge part in organising this leg of the festival through her project ‘The Musical Garden’. Oh also breathing in the crisp, fresh tatong air. We have our official band launch at the Old Bar in Fitzroy on the 25th March from 3pm with support from some of our favourite Melbourne acts in The Slingers and Palm Springs. 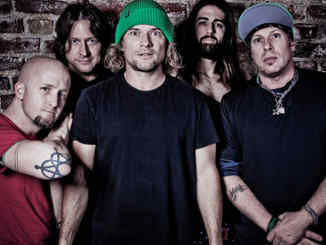 After that we are hitting the studio to get some tracks down as the full band. I’ve been writing, playing gigs and recording my own music for a while now and have recently started playing with the Stealing hours (Bryan, Tom and Jake). So there is a lot of my solo recordings on the internet but patience is a virtue and use your virtue patiently to wait for the band’s recordings because it will sound gooooood (fingers crossed). This is neither an on the road or studio anecdote, but it is an anecdote. I met the Stealing Hours a few years ago when I was driving up the Hume and stopped in at the Avenel Roadhouse for some tucker. I waited in line patiently to order my food and Bryan, Tom and Jake cut in front and tried to order their food. I got angry, ran my mouth a bit, we took it outside and Bryan ended up throwing a potato cake presumably in my direction but hit a burly truck driver that was walking behind me. We ended up mates, realised we all played music and the rest is recent history. Jackson C. Frank, Jessica Pratt, Kurt Vile, Bruce Springsteen, Cormac McCarthy, Adrianne Lenker, morning coffee, existential dread, our mums, the Melbourne music scene. Refer to the previous question ‘ Tell us about your new single/ album/ tour?’ re. band launch and laying down traxxxx. Time Robb and the Stealing Hours hang out in dimly lit pubs, listening to great local music and sometimes even get a bit risque and lash out and buy a VB to split between the four of them. Only sometimes though, because we are poor, poor musicians. ranges from straight country to acid-folk to extended rock jams. It’s fun, it’s rollicking, at times dark, but also funny. See them playing around Melbourne – come for the music, stay for the abhorrently awkward stage banter. 25th March, The Old Bar, Fitzroy with The Slingers and Palm Springs. 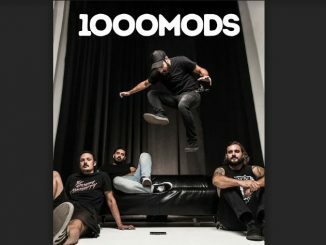 [pullquote]”If you find yourself at the same party as Dallas, make sure you’re match fit.” Sarah McLeod, The Superjesus [/pullquote] Ever wanted to hitch a ride onboard your favourite band’s tour bus? Fantasised about starring in the next Almost Famous film? Well, listen up, because Dallas Frasca is about to give you precisely that chance with what is guaranteed to be one of the musical highlights of the year. The powerhouse Aussie frontwoman and rock and roll icon is throwing a world-first music festival set to take punters on the road this March. 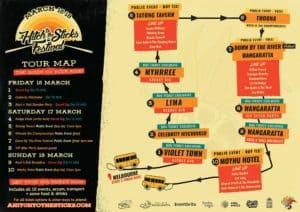 Taking place over three days, A Hitch To The Sticks Music Festival is a unique band-tour-meets-VIP-experience that gives audiences a glimpse at a touring musician’s lifestyle in a three day regional bus tour of hand-curated music events, gigs and festivals. With Frasca as your guide, passengers will navigate some of North-East Victoria’s hidden musical gems and undiscovered live music venues and events all from the comfort of your own rowdy, airconditioned tour bus. For 50 lucky ticket holders, the adventure begins in Melbourne’s CBD on Friday 16 March where the Hitch To The Sticks bus will commence boarding. From there the tour heads North to six secret locations and four public events across Violet Town, Lima, Myrrhee, Tatong, Thoona, Wangaratta and Moyhu until the musical safari touches back down in concrete town on Sunday 18 March. Transporting passengers direct to the cream of the crop of Regional Victorian music and culture, Dallas has packed a massive lineup of local gigs, events, festivals and experiences into the three day tour, to shine an unforgettable light on the immense musical talent hidden in the quiet corners of our land. Some of the exclusive experiences along the way will include a hedge maze “artist hunt” where punters must follow the music to discover live local artists playing throughout the maze; a rock & roll slumber party in cabin style accommodation (limited VIP upgrades available); celebrity hitchhikers and an intimate live performance by a very special international guest. “There is something special, indescribable, about experiencing live music in regional Victoria. A travelling music festival on wheels? Sign me up! Music Victoria loves regional live music.” Nick Cooper, Operations / Program Manager Music Victoria. For those who can’t make it onboard the tour, there are plenty of opportunities to join the disembarking passengers and meet the legendary bus at four public events throughout the tour. This includes the sixth annual Wangaratta Down By The River Festival – a free event offering a kaleidoscope of flavour, music, activity and culture curated by Frasca herself, as well as a bunch of local ticketed events across the weekend. 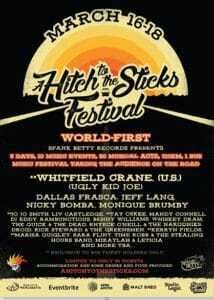 With the full lineup dropping soon, Dallas and the Hitch To The Sticks team are excited to reveal the first couple of performers eager and ready to board the festival bus – conductor of the Melbourne Ska Orchestra and all-round reggae luminary Nicky Bomba and Beechworth-born singer songwriter Liv Cartledge. At just 21 years old Liv’s oaky tones and disarming lyrics have captivated audiences around Australia and beyond, with her debut EP Timber an incredible first glimpse of a destined rising talent. 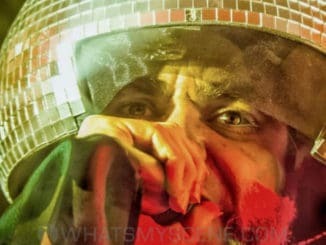 Relentless traveller and performer Nicky Bomba is an absolute staple of the local reggae/funk/jazz scene and has contributed to just about as many musical endeavours as he has footprints on the earth. 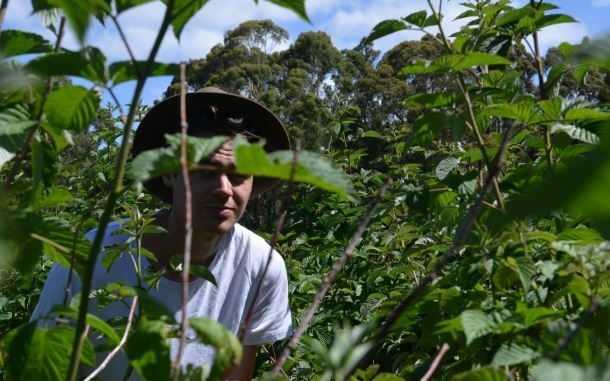 Liv’s regional Victorian roots and local knowledge together with Nicky’s worldly prowess and love of community are sure to make the inaugural A Hitch To The Sticks Music Festival one heck of a kumbaya. So get ready to sit tight, buckle up and play corners with some new friends when the wheels on the Hitch To The Sticks bus go round and round this March.